Auditions are coming up soon for Western Sydney dance training centre ED5INTERNATIONAL! 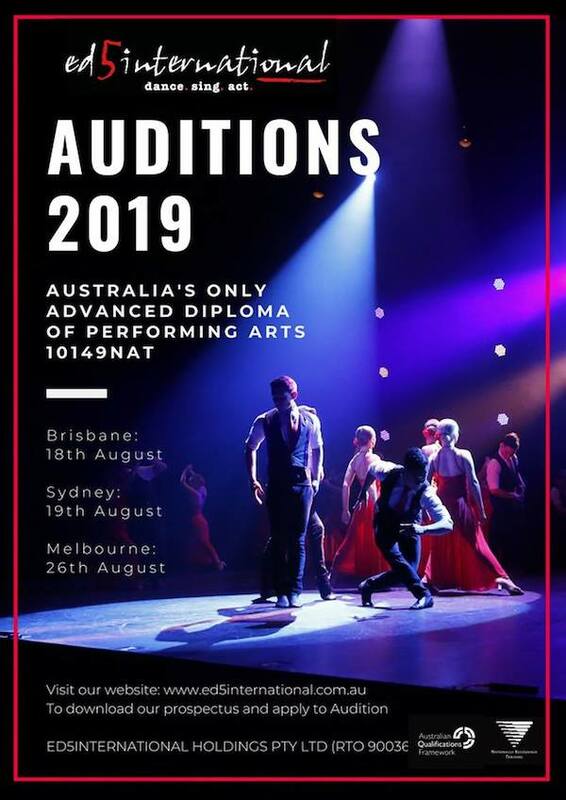 The first audition will take place in Brisbane on Saturday, August 18 at Dance Expressions Company while the second is hosted at home in ED5INTERNATIONAL Studios in Sydney on Sunday, August 19. The third round of auditions are set for Melbourne on Sunday, August 26 at Alex Theatre. ED5INTERNATIONAL offers an accredited Advanced Diploma of Performing Arts that is guided by William A. Forsythe alongside founders Elena and Mario De Cinque. Graduates of ED5INTERNATIONAL now perform in musical theatre shows across the country, as well as on television, at theme parks overseas and on cruise ships. 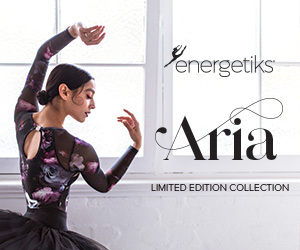 Full-time students take classes in subjects including musical theatre, ballet, tap, jazz, contemporary, hip-hop, lyrical, acting, acrobatics, Pilates, cardio, performance coaching, music theory, audition technique and nutrition. They enjoy a private singing lesson once a week. Teachers include Director William A. Forsythe, Elena De Cinque, Kim Traynor, Nathan Sheens, Leslie Bell, Dolce Fisher, Adam Blanch and many others. To request a prospectus or to see full audition details, visit www.ed5international.com.au. See FullTimeDance.com (powered by Dance Informa) to learn more about the best full time courses in Australia, New Zealand and New York.